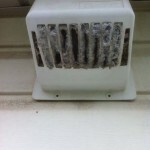 With Bad Dryer Vents Like This Why are Homes Not Being Recalled? 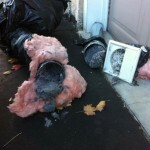 You are here: Home / Dryer Fire Prevention / With Bad Dryer Vents Like This Why are Homes Not Being Recalled? 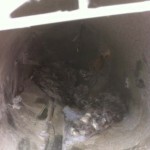 We see so many issues with badly installed dryer vents that it is unbelievable. 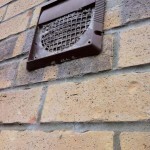 The shoddy workmanship, lack of consideration for the safety of the family, not following code and failing to put proper roof vents are just some of the examples we see everyday. 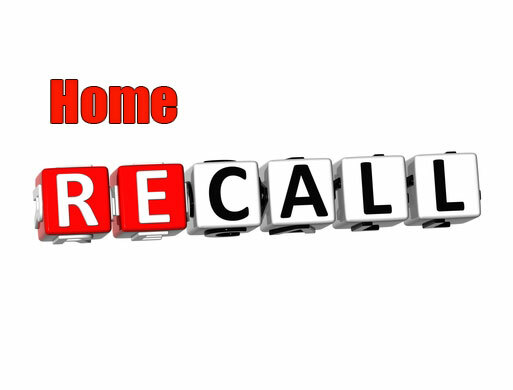 If these were cars we were looking at they would be recalled, how come no one seems to care about this is beyond us! 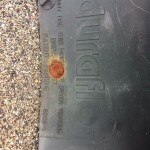 Code is a bit vague but it states you can have up to 25 feet in one book and up to 35 feet in another, however these can be superseded by the manufacturer. 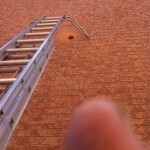 So really to err on the side of caution 25 feet should be the ideal maximum length. 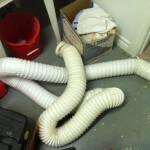 The dryer manufacturers state clearly that 4″ ducting should be used yet some geniuses out there insist on using 5″, flexible hose, bathroom vents. 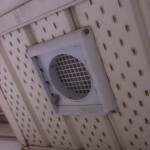 We’ve seen houses where they forgot to actually put the vent through the wall or through the roof that’s like driving a car with no exhaust! 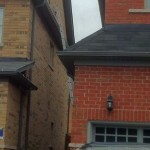 The amazing thing is they actually pass inspections when new homes are built. If we had our way all new homes would have a log book detailing who the contractors were, this would hopefully make contractors more accountable! 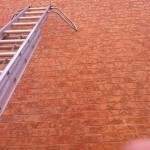 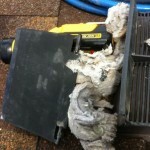 Dumb Ways to Dry – Costing you Money and Putting Families at Risk! 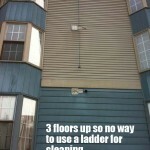 3 floors up how can anyone clean this? 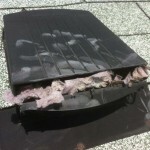 Dryers should not be vented to the soffit. 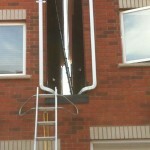 This one has a screen too! 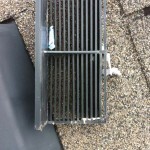 How high and inaccessible is this dryer vent? 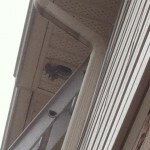 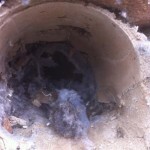 The above gallery shows the terrible dryer vent installations we see daily. 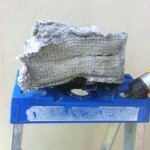 Here at dryer vent cleaner we do not just clean we put right the shoddy workmanship and ensure the dryer is a safe and as efficient as it can possibly be. 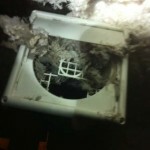 Dryer vent caps should not have a screen on – this prevents any lint from getting out and it then backs up inside the dryer cabinet, which could cause a dryer fire. 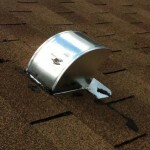 We recommend our pest proof exterior vent cap if you have worries about pests getting in, they also prevent wind from blowing back in. 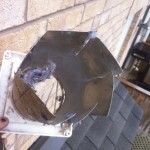 A dryer needs its own line – it should not use a T piece to attach another dryer of bathroom fan. 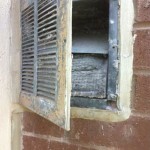 We see it a lot in condos and homes where the easiest way was to just use the existing set-up rather than drill a new hole for a new dryer vent. 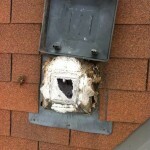 We offer dryer vent installation and drill holes through the wall. 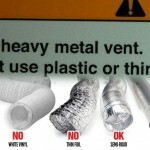 Plastic Hose Or This Foil Should Not Be Used! 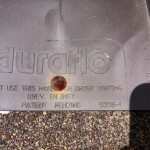 Most dryers have a warning label that states not to use thin foil or plastic hose, yet we see so many homes using it! 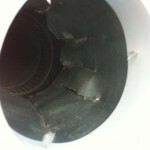 We replace the wrong dryer hose with either solid ductwork or semi-rigid and always test the dryer for safety. 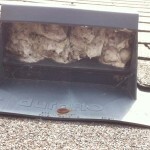 Roof Vents Why Most are Wrong, Unsafe and a Fire Risk! 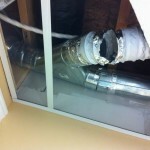 The upstairs laundry room is great but they are a hazard due to being out of sight and the fact most are just using existing vents for the dryer which needs to have a free run to the outside. 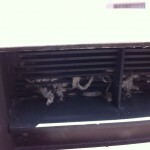 We see vents that clearly say “DO NOT USE THIS MODEL FOR DRYER VENTING” yet they still fit them. 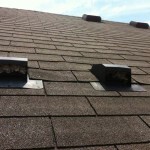 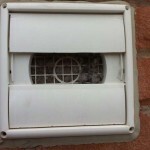 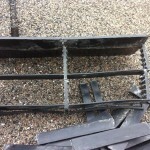 We import roof vents specifically made for dryer venting, they work, are safe and efficient. 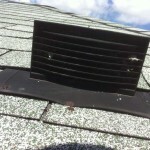 At Dryer vent cleaner we don’t just clean your dryer vent, we also carry out proper dryer vent installation, dryer vent repairs and dryer vent rerouting to ensure a safe and efficient installation.